It would not have come at a better time for the Kim twin sisters- Min Seon and Min Ji - rubbing shoulders with badminton legends who are household names in the world of badminton. After all the Kim twins are primed to be the future stars of Korean badminton and to meet badminton greats like Lee Yong-dae (Korea), Peter Gade (Denmark), Lin Dan (China) and Taufik Hidayat (Indonesia) is a big boost in pursuit of the ambition to be badminton greats themselves. Malaysia's Lee Chong Wei could not keep the date in Incheon due to medical reasons. The Legends Vision World Tour - which is supported by the world famous badminton brand Yonex - made its first-ever stop in Korea and this was in Incheon with Yong-dae coming on board as the latest member of the Legends. The place was the Nam Dong Stadium, Incheon, which was the main venue for the 2014 Asian Games. The Kim twins were in for a big, big surprise when they were called to play an exhibition match with the Legends as part of the tour programme. Yong-dae partnered Min-ji while another Korean great Yu Yong-sun partnered Min-seon. They were thrilled to bits to be given recognition and be part and parcel of the big badminton do. The Kim twins not only learned some more beautiful points of the game but it also boosted their confidence after getting get tips from the legends. The five legends travel to different countries to raise the profile of badminton and inspire the next generation of badminton players worldwide. The Kim twins, who are Grade Six students, fit into this as they are Korea's Junior National Team members and hailed as the "stars in the making" with the right coaching and exposure. They started playing the game when in Grade 1 at the age of six years after watching their father Kim Chung-hyuk, who is badminton coach with local schools in Incheon, train the school children. The Kims started playing the game for "fun" but soon they were making a name in local badminton tournaments. "I want my girls to enjoy badminton as they grow older. I also pray they are free from injuries," says Chung-hyuk. The twins themselves are self-motivated and hope to make it big in their badminton career. Min-ji's idol is top Korean woman shuttler Sung Ji-hyun while Min-seon has Japan's former world champion Nozomi Okuhara to spur her on. "Apart from wanting to be the youngest members in the senior (Korean) badminton team we also want to be the youngest gold medal winners in international tournaments," said the twins, who are aware that they have a long and winding road ahead of them. 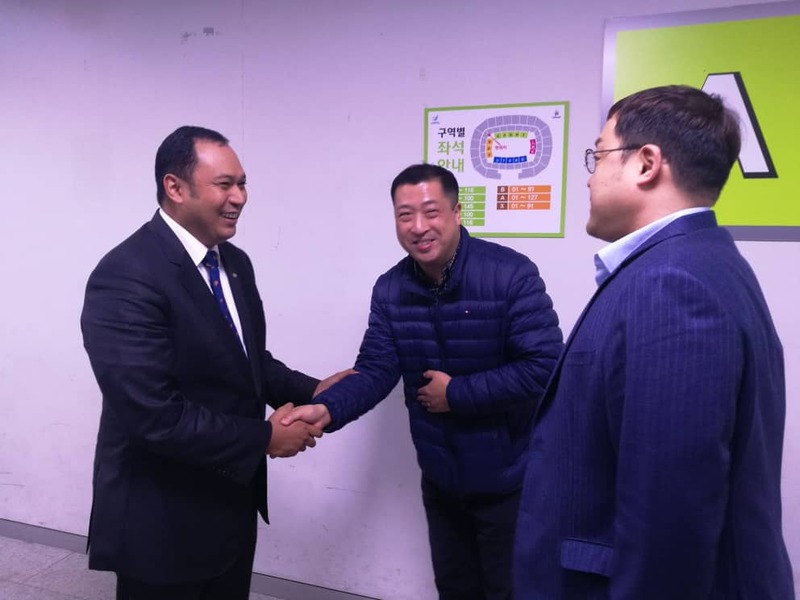 Their "badminton talent" has also caught the eye of two key persons in Badminton Asia - President Anton Aditya Subowo and secretary-general Kim Hong-ki (Greg). 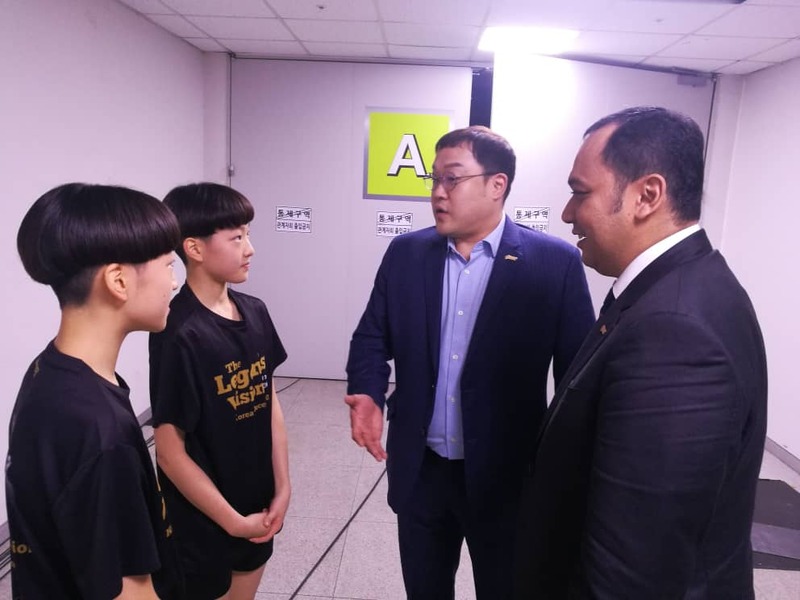 "Give them time and expose them to competitive badminton and I am confident they will make a name for themselves in the sport not only in their country but also in Asia and other parts of the world," said Mr. Subowo. Hong-ki (Greg) who hails from Korea also spoke highly of the twins and described them as "rare gems" who have a bright career in badminton. 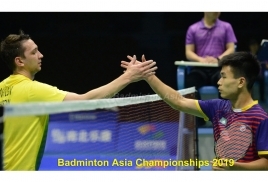 "Badminton Asia is delighted with the emergence of the Kim twins. I see a lot of (badminton) talent in them. This is good for badminton in Asia," said Mr Kim.